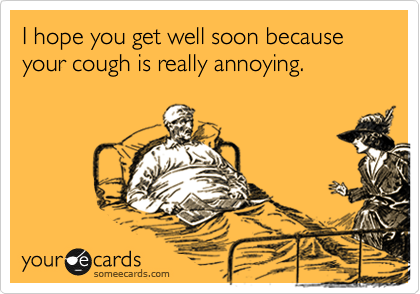 The Coughing is still really annoying…. …and now it has destroyed my life. Okay, not quite that bad, but one day soon, I would like to be able to move normally. About 5 weeks ago, I got a sinus infection. Then I got the flu which turned into bronchitis then I got pneumonia. For 3 weeks, the coughing has been horrendous. Think deep, body wracking, heaving coughing. Voting day was lovely. I was off work because I couldn’t stop coughing, but hey, every vote counts, right? While in line, I was THAT person who everyone hates. Fast forward to last week. I finally started feeling better and the coughing slowed down and I was finally getting my voice back. Trying to teach without a voice is draining. Then the rib pain started and by night, I couldn’t sit or lie down without feeling like I was being stabbed with a hot knife. Today, the doctor took enough x-rays to diagnose a separated rib or a “costochondral separation”. I’m on massive amounts of anit-inflammatory and some stronger stuff for night, if needed. Frankly, they do nothing at night. I can’t sleep unless I’m lying on my opposite side and propped against pillows. Sleeping in the recliner is actually pretty comfortable…for about an hour. When I asked about recovery time regarding running, he said “the pain will determine healing time”. This is my sports doctor so he wisely chose to give me a vague answer. If he had said “a few weeks”, I would have flipped. Right now, I just want to walk without needing to hold myself. 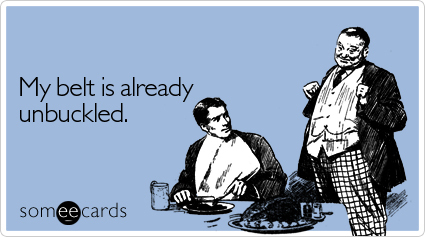 Tomorrow is Thanksgiving! The plans are different this year and I need all the rest I can get!